GPS is ubiquitous in everyday life. GPS mapping is standard equipment in many new cars and geolocation services are embedded in smart phones. GPS makes Uber and Lyft possible; driverless cars won't be able to drive without it. 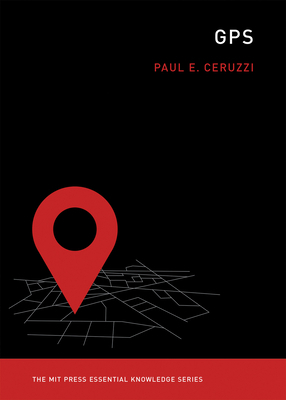 In this volume in the MIT Press Essential Knowledge series, Paul Ceruzzi offers a concise history of GPS, explaining how a once-obscure space technology became an invisible piece of our infrastructure, as essential to modern life as electric power or clean water. GPS relays precise time and positioning information from orbiting satellites to receivers on the ground, at sea, and in the air. It operates worldwide, and its basic signals are free, although private companies can commodify the data provided. Ceruzzi recounts the origins of GPS and its predecessor technologies, including early aircraft navigation systems and satellites. He describes the invention of GPS as a space technology in the post-Apollo, pre-Space Shuttle years and its first military and commercial uses. Ceruzzi explains how the convergence of three major technological developments--the microprocessor, the Internet, and cellular telephony--enabled the development and application of GPS technology. Recognizing the importance of satellite positioning systems in a shifting geopolitical landscape--and perhaps doubting U.S. assurances of perpetual GPS availability--other countries are now building or have already developed their own systems, and Ceruzzi reports on these efforts in the European Union, Russia, India, China, and Japan.